QuietPC is taking the opportunity to show off the latest 3D gaming technology at the forthcoming Multiplay Mfestival alongside its normal range of low-noise components. The company is taking the opportunity of reaching over 2000 gamers that will present to compete for a £15,000 prize and a place at the next World Cyber Games. QuietPC.com will not only be showing off its popular Ultra-quiet Xbox mods, but also giving people the opportunity to take a look at the latest trend in gaming – 3D. 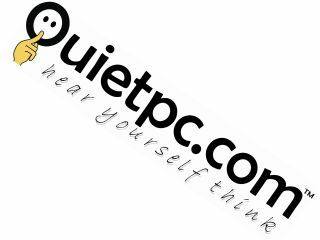 "3D gaming continues to grow and grow and Quiet PC know seeing is believing," says QuietPC's release. "If you fancy a play or have not experienced 3D gaming before, feel free to pop down to the Quiet PC stand and test over 10 popular 3D games on their Zalman monitors that add an extra dimension to your gaming!" The Mfestival will incorporate i38 – a popular UK LAN event – and feature exhibitors from across the UK gaming industry.